for 3-11s (with their grown-ups) to have fun exploring the Easter story through things to make and do. Ends with a cooked lunch for everyone. Also meets once a month throughout the year. Enjoy a freshly cooked lunch at a reasonable price in a friendly atmosphere. Meets fortnightly throughout the year. Contact the church office to book your place. Offering free hot cross buns to commuters at Stoneleigh Station, together with St. John's. An opportunity to reflect quietly on what Jesus' death meant in history and its relevance today. Indoor skittles, bouncy castle, Easter crafts, hot cross bun café, hot dogs, Easter bonnet parade. Don't miss out on all the fun! What gets you out of bed in the morning, apart from the alarm clock? We all need something that motivates us – something we look forward to. Something to live for. Hope is a precious commodity. It lifts our spirits. It helps us through hard times. And it fills every moment with potential and anticipation. 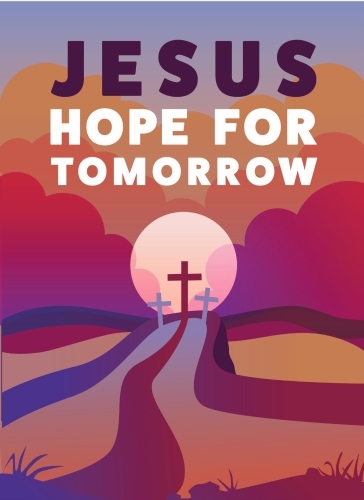 For Christians, the death and resurrection of Jesus are the foundation of our faith – and our hope is perfectly expressed in the Easter story. If hope is just what you need right now, we’d love to welcome you to our Easter celebrations. It could be the beginning of a whole new life.